Moving through life with two kids can be difficult. Moving through a street with two kids can seem to be even more difficult at times. For the busy and active family with two toddlers or young kids who cruise in strollers, finding a suitable double stroller can be difficult. We know that busy parents lead busy lives, and we know you don’t always have the time to sit down and carefully research the best strollers for your family. 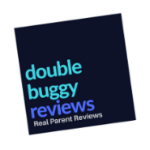 We’ve been working to find and review the best all-terrain double strollers, and our sights were quickly set on the Baby Jogger 2016 City Mini GT Double Stroller. We’ve carefully tailored a Baby Jogger 2016 City Mini GT Double Stroller Review to give you all the specifications, pros, cons, and ultimatums of this stroller, so you can judge if this stroller is the right fit for your family. 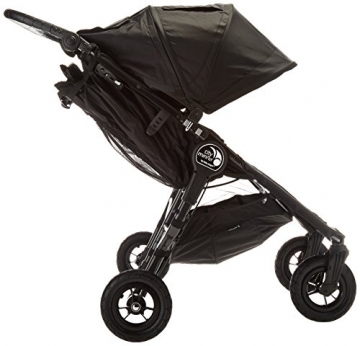 This stroller offers a sleek design available in grey, black, or red. They don’t waste any time on fancy, heavy bells and whistles; Baby Jogger focuses on offering the most secure and minimalistic side-by-side double stroller for the lightest and most functional design. The seats are comfortably padded and the stroller can hold up to 100 total pounds. 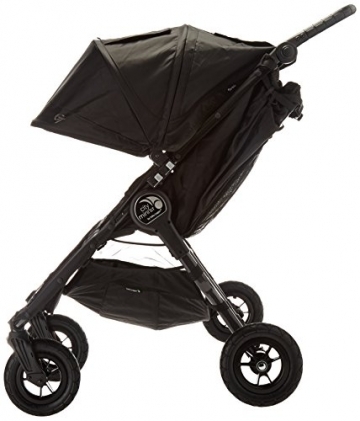 All-terrain wheels, a hand-operated brake, UV 50+ sun canopy, and an adjustable handlebar distinguish this stroller as an especially fantastic investment. One of the most incredible features of this stroller is the quick fold technology. 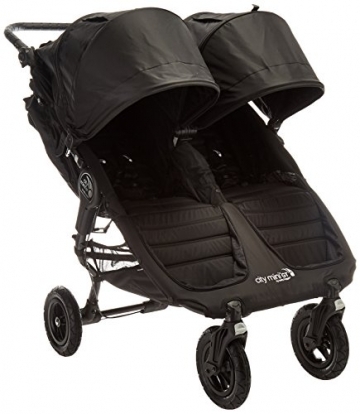 Despite being a double stroller strong enough to withstand a rough and tough city day, this quick fold design allows for the stroller to be quickly and effectively folded with a single hand. 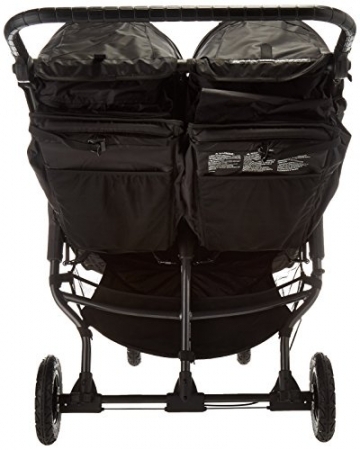 The biggest benefit of this Baby Jogger double stroller is the no-nonsense quick fold. We found this feature to be absolutely instrumental in quickly running errands around the city or moving the stroller from the sidewalk to a car trunk. The all-terrain tires allow the stroller to be operational almost everywhere. This feature allowed us to bring this stroller with us on mountain trails, beach walks, gravel driveways, and cracked sidewalks with minimal resistance or issue. The hand brake made quick stops easy and effective. We especially loved the glider board that allowed older kids to hitch a ride on the stroller as we went! 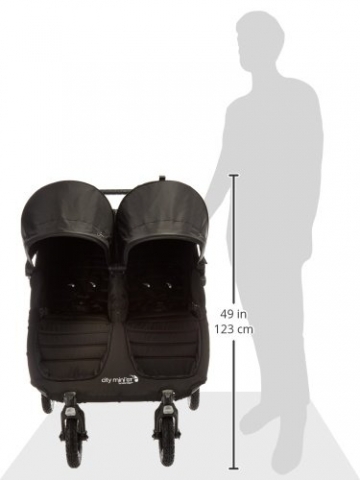 The stroller runs 48.6 inches by 43.5 inches by 30.1 inches. The stroller itself weighs 32.6 pounds, and can handle up to 100 pounds of weight on it before it shows signs of difficulty. The wheels are 8.5”. Front wheel suspension, sealed ball bearings, and lockable swivel front wheels made this stroller agile yet reliably stable and durable. We didn’t expect the customizability and adjustment capability of the stroller to be as helpful as it turned out to be, but being able to raise and lower the handlebars definitely helped us optimize the comfort of the driver on all of our adventures. The quick fold design was efficient and smooth, and the lightweight design made transport in the folded position easy. The stroller felt very secure and strong on all of the terrains we tested it on. The parent console added an extra level of convenience for easy toy and snack storage, and the stroller could still be easily folded with it attached. 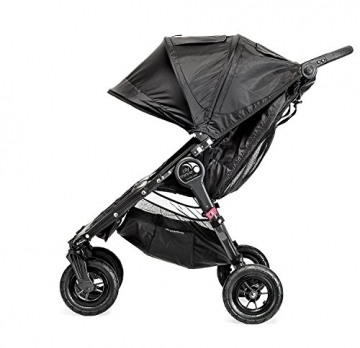 The easy fold design isn’t messing around; the stroller quickly folds with a single hand! The adjustable handlebar kept the handle from being uncomfortably high or low. The weather shield successfully protected our kids from rain and wind. The all-terrain wheels were able to tackle a wide array of surfaces with ease. The stroller is a bit on the pricier side. The stroller car seat doesn’t fit a lot of the common car seat brands. Ultimately, the Baby Jogger 2016 City Mini GT Double Stroller is a great fit for the family on the move. We can’t emphasize enough the increased efficiency and ease of mobility the quick-design fold allowed. The all-terrain tires took on a gravel driveway and cracked city sidewalk with ease, and tackled forest trails and a walk on the beach. The padded seats kept our kids happy and comfortable, and we could easily store their toys and snacks in the parent console. 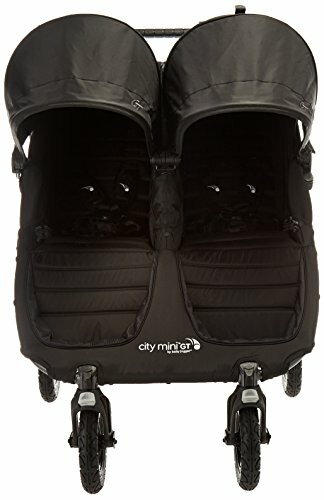 The Baby Jogger 2016 City Mini GT Double Stroller is a great investment if the money is available. Give this stroller a try; your kids will thank you for it later. 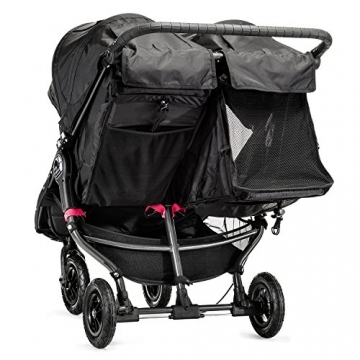 If this Baby Jogger 2016 City Mini GT Double Stroller Review makes you think this stroller might be a good fit for your family, find more information here.